The winter season is officially upon us here in Saskatchewan. It’s been a bit different this year due to the slushy snow and warm weather so far, (knock on wood) which makes it a great year to take a winter road trip! We’ve compiled a list of awesome places to check out in our wonderful province during the snowy months. There are plenty of beautiful places to see in Saskatchewan year-round that are not visited nearly enough. Take a drive out to Elk Ridge Resort, only 2.1 km from Prince Albert National Park. It’s a popular golf course resort in the summertime, so during the snowy months, the room rates are at a much lower price. Who doesn’t love a great deal? Besides, sometimes it’s nice to get away from the hustle and bustle of large crowds in the city. 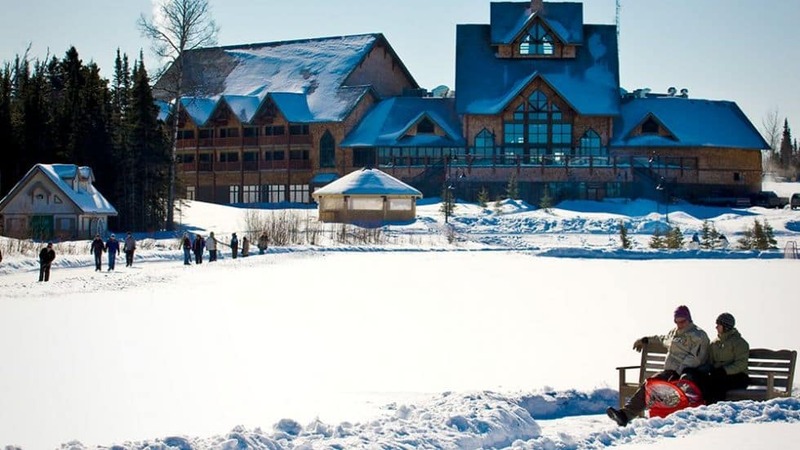 You won’t be bored at this resort with plenty of outdoor activities to try: snowshoeing, skating, curling, tobogganing, cross-country skiing, and snowmobiling! When you’re finished with outdoor activities, you can warm up at the indoor pool offered at Elk Ridge. It’s equipped with a water slide and a hot tub to ensure you can fully relax and wind down. Enjoy a nice 3-course meal at the Fireside Dining & Terrace or try local pub-style food at Walleye’s! You can’t possibly go wrong at this beautiful resort – summer or winter! Take a moment to relax inside a nice and warm cabin at Historic Reesor Ranch. It’s situated right outside of Cypress Hills (another great place to check out) and near the southwest corner of the province. This resort offers a Cowboy Comfort Winter Romance Package that would be the perfect gift to treat your sweetheart. 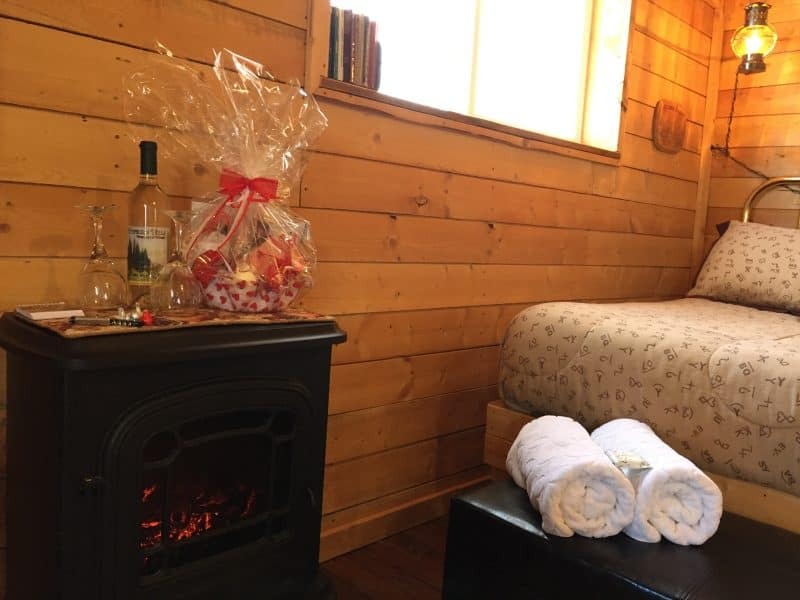 It includes a one-night stay in the Cowboy’s Cabin with a two-person jacuzzi tub, a bottle of Cypress Hills Winery wine and a romance gift basket handcrafted by Jane from the Broken Spoke Gallery and Gift Shop in Maple Creek. Aside from relaxing indoors, there are plenty of outdoor activities to take in. 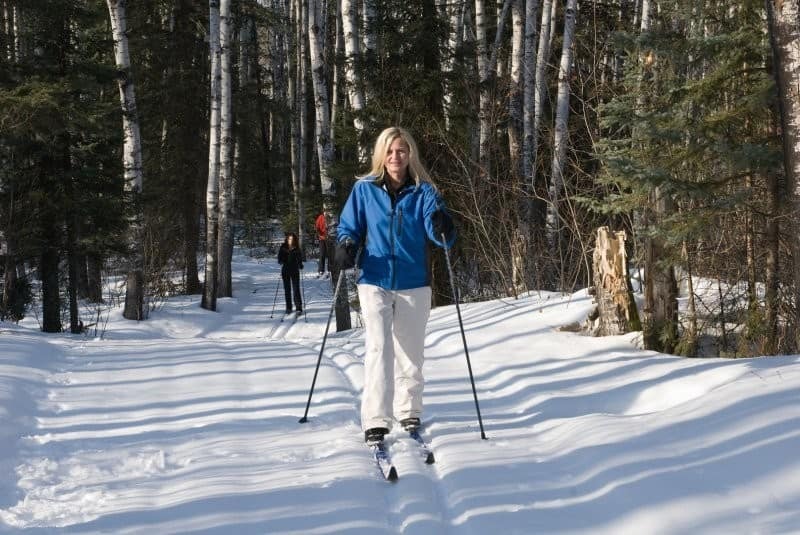 Go for a hike and take in the beautiful scenery or if you’re really adventurous, try snowshoeing! You can also enjoy a nice evening campfire under a blanket of stars. If you’re looking for more fun snowy adventures, Great Blue Heron Provincial Park offers plenty of year-round activities for all types of trail enthusiasts. This hidden gem is located at Anglin Lake which also borders Prince Albert’s National Park. Rip around on a snowmobile down wintery paths or maybe try some cross-country skiing. We hope we’ve inspired you to take a fun winter road trip this year. Always remember to keep your vehicle prepared before you take on the roads and if you have any other destination suggestions, we’d love to hear them! If you’re ever looking for more activities in Saskatchewan, we recommend checking out the Saskatchewanderer on social media. Happy travels!